New York, NY – March 26, 2019. Ron Gordon Watch Repair, New York City’s top watch repair for Rolex watches, is proud to announce a new blog post on recent innovations from Rolex with respect to mechanical movements. To read the new blog post visit https://www.rongordonwatches.com/2019/03/rolex-gen/. The blog posts discusses the innovation and has links to other websites with additional information. Its purpose is to highlight the constant technological innovations coming from Rolex and to draw attention to the brand among the watch cognoscenti in New York City. 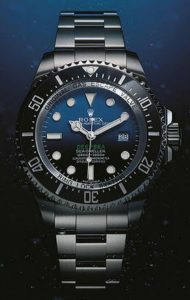 No brand announces that one has “made it” quite like a Rolex, and yet the blog post concludes by drawing attention to the growing interest in so-called “vintage Rolex watches.” Many vintage or older Rolex watches end up being brought into Ron Gordon Watch Repair for inspection, tune ups, and even repairs. Persons who are passionate about the brand should first read the blog post, and then if they are lucky enough to own a Rolex, peruse the information page on Rolex watch repair in New York at https://www.rongordonwatches.com/rolex-repair/. Any persons with an older Rolex or a Rolex that seems to be functioning “sub par” is encouraged to contact Ron Gordon and set up a preliminary inspection and estimate. There is no greater tragedy, explains Mr. Gordon, than for a Rolex watch to sit in a draw in a non-functional way rather than being worn on someone’s wrist thus showcasing this powerhouse of functionality and beauty. Here is background on this release. Measured by sheer quantity, Rolex is the most common brand brought into Ron Gordon Watch Repair for inspections or repairs. Rolex no doubt has the highest brand recognition among watch lovers and is certainly the most important luxury watch brand as measured by sheer popularity. Many consumers and those new to the passion of watches mistakenly assume that Rolex is only about style or flash, when the company has a storied history of technological leadership. The post explains one new facet of that leadership: innovation when it comes to mechanical movements as announced in 2015. The post further explains that Rolex owns no fewer than fourteen patents to protect Caliber 3135. Finally, the post touches on the mesmerizing aspect of how the watch is self-winding. Indeed, efficiency is so optimized that a watch can survive from Friday to Monday without being worn, making the brand perfect for those who want to “dress up” during the week and “dress down” during the weekend. Finally the post concludes by admonishing those who own older Rolex watches to come in to the shop for an inspection, tune-up, and possible repair. While such activities do involve a fee, anyone who owns a Rolex does him or herself a disservice if the watch sits, unfunctioning in a drawer. Beauty, after all, demands to be experienced!